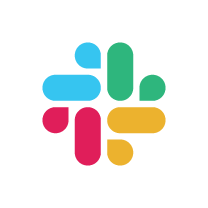 Slack is a messaging app for teams that brings all the internal communication in one place. It offers real-time messaging, archiving and search for modern teams. With fully native apps for iOS and Android, whatever you do on one device is reflected everywhere. Everything is in sync. Channels - Organize your team conversations in open channels. Make a channel for a project, a topic, a team, or anything—everyone has a transparent view of all that’s going on. Direct Messages - To reach a colleague directly, send them a Direct Message. It&apos;s completely private and secure. All your tools in one place - Connect all the tools you use to Slack & get all your notifications directly within Slack—from support requests, code check-ins, and error logs to sales leads—all of them searchable in one central archive. Search your entire archive - Everything in Slack is automatically indexed and archived. It also indexes the content of every file so you can search within PDFs, Word documents, Google docs, and more. With one search box and a set of powerful search operators, you can slice and dice your way to that one message in your communication haystack.